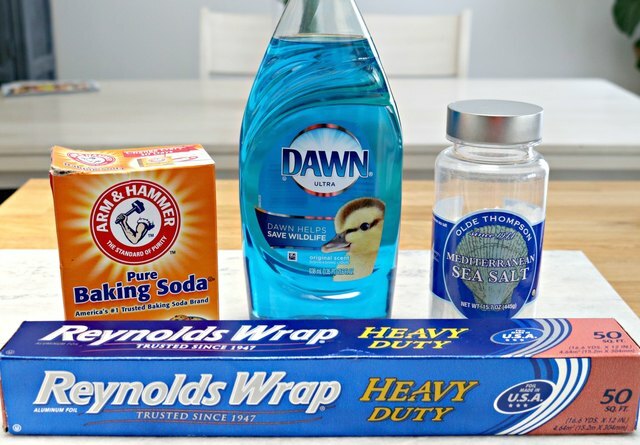 Jewelry can get really dirty, and store bought jewelry cleaners can be super harsh on pieces, causing them to dull over time. 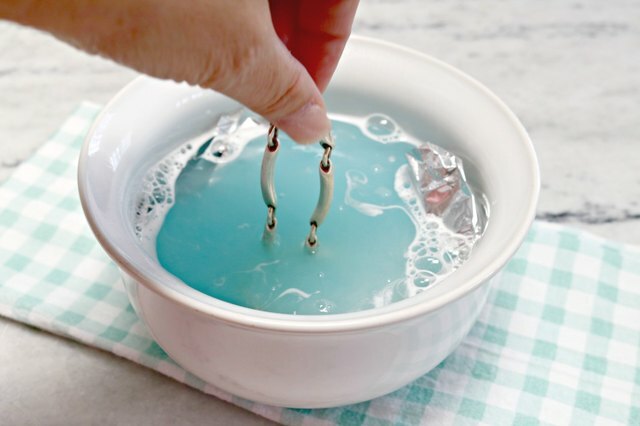 This DIY natural jewelry cleaner is easy to make and will safely clean your baubles without the use of harsh chemicals. 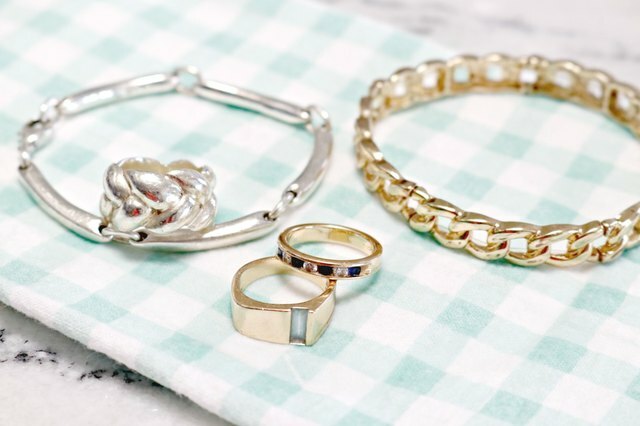 You only need a few items from your pantry to make it and get your jewelry clean in less than 20 minutes! 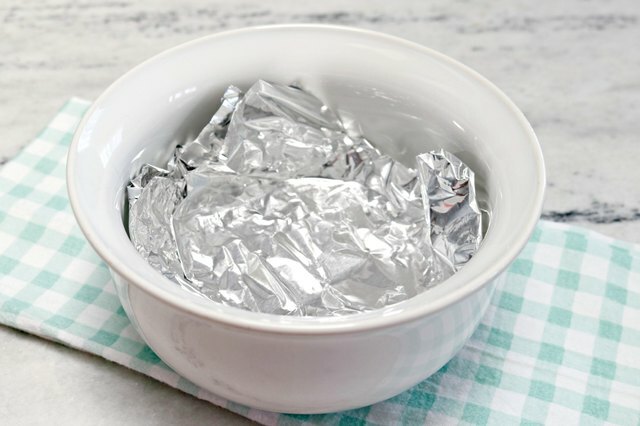 Step 1: Place foil in the bottom of a bowl. 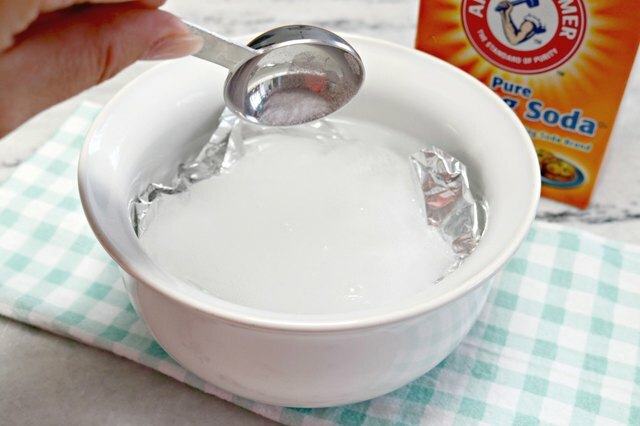 Step 2: Add one cup of warm water. 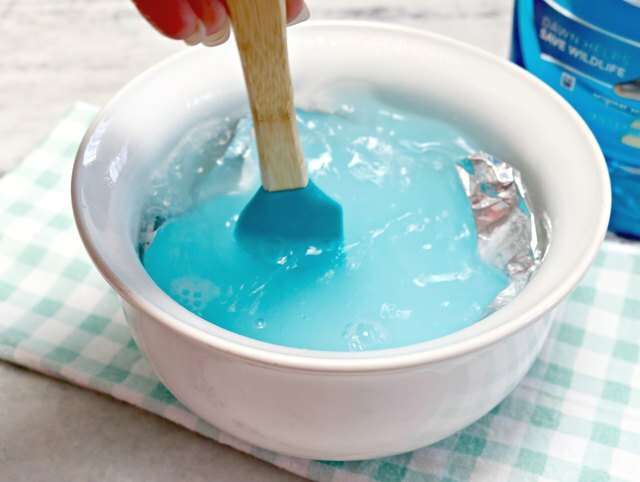 Step 3: Add rest of ingredients to the bowl and mix well. 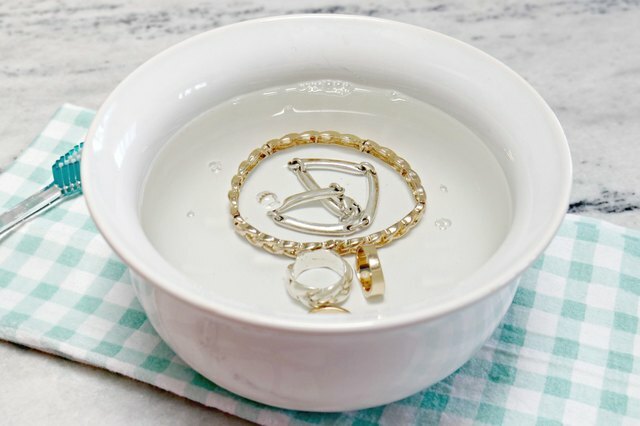 Step 4: Add jewelry pieces and let soak for 10 to 15 minutes. 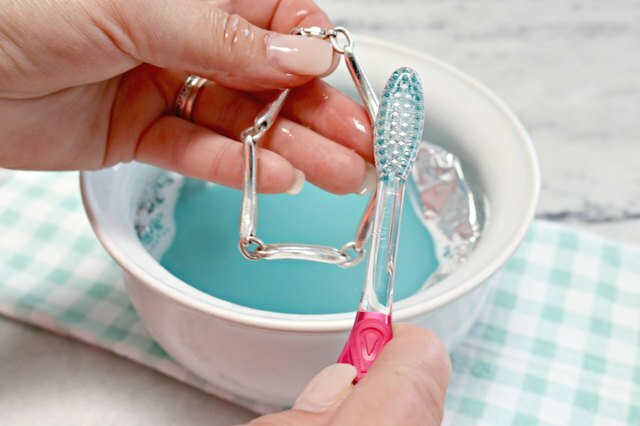 Step 5: Give each piece a gentle scrub using a toothbrush. 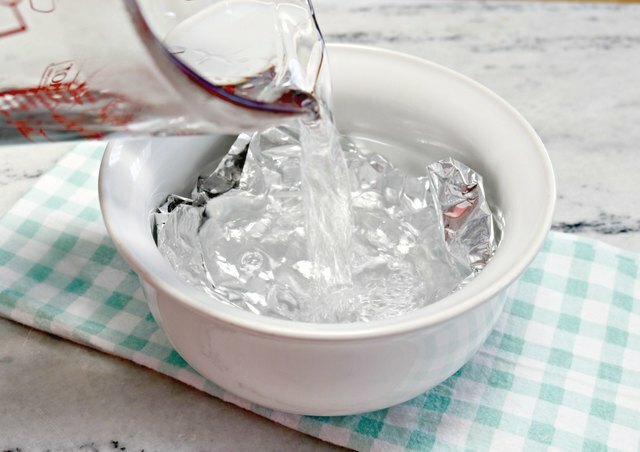 Step 6: Rinse jewelry in a bowl of cold water. Step 7: Place the jewelry on a cloth to dry.